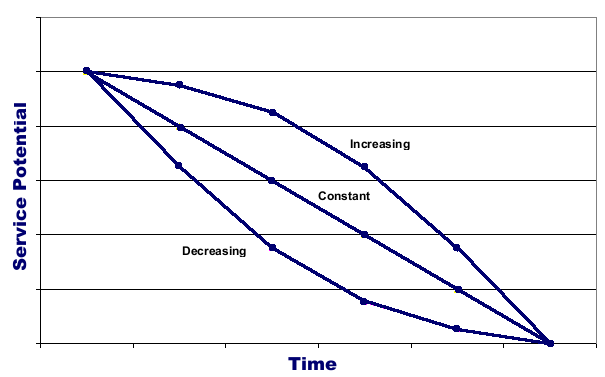 A pattern of consumption is a graph of the rate of consumption of an asset's service potential. Consumption patterns may be; constant, increasing, decreasing or haphazard. Most infrastructure asset types exhibit either a constant or decreasing consumption pattern. Vehicles are an example of an asset type that may exhibit a decreasing consumption pattern, with resale values sometimes dropping more in the first year, than in following years.